Let this special sideways diamond cross bracelet in 14K gold from Apples of Gold Jewelry add a little extra sparkle to your days! 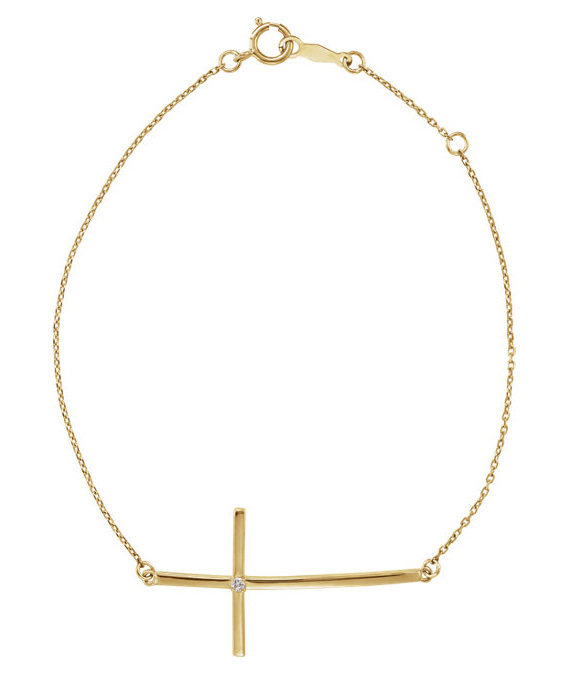 This beautiful bracelet is 8 inches in length and features a sideways cross, all of which are made from beautiful 14K yellow gold. 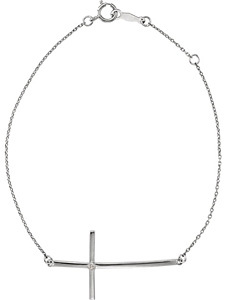 In the center of the sideways cross is a 0.025 carat diamond, which is sure to capture the light and grab attention. The diamond in the cross is rated G-H for color quality and I1 for clarity. Whether you are purchasing this beautiful bracelet as a gift or for yourself, you will not be disappointed! 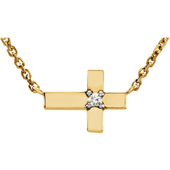 We guarantee our Sideways Diamond Cross Bracelet in 14K Gold to be high quality, authentic jewelry, as described above.